A very beautiful composition. It seems a Light Party. Very well framed and with a great silhouette. My congratulations, Alexander Perev. Отличная композиция, прямо как глаза самого Вечера ! 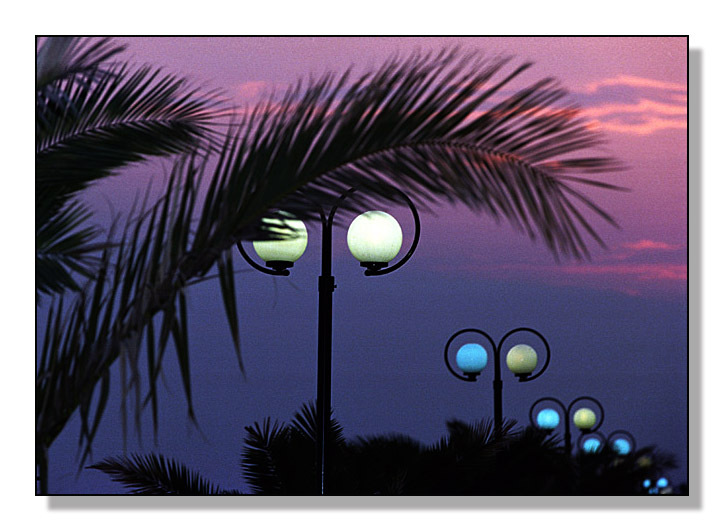 Beautiful composition and colours, I like the repetetive patterns of the lamp posts. Excellent work with very beautiful perspective!